Director Luc Besson’s 1997 sci-fi romp The Fifth Element is fondly remembered for a handful of very specific reasons, most of which have nothing to do with its plot. 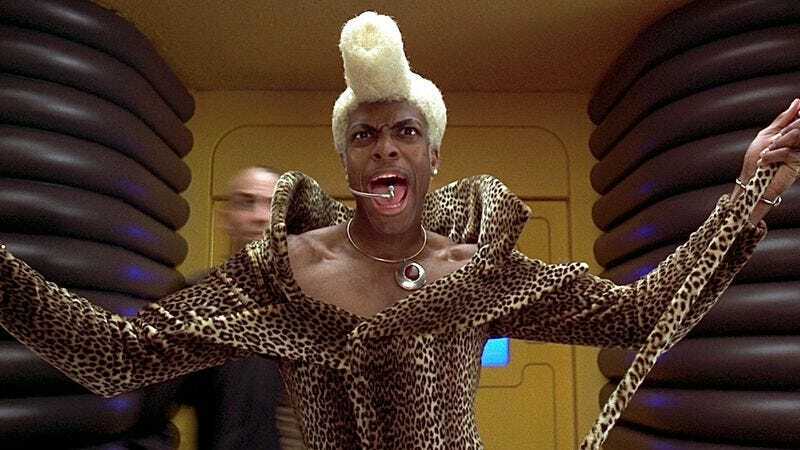 No, what people like about The Fifth Element is that its visuals, especially the costume designs, are completely bananas. How could you not love Gary Oldman’s fancy high collar and weird plastic shell, or Milla Jovovich’s stylish white straps? Not to mention Chris Tucker’s…well, everything. For Besson’s next film, the French comic adaptation Valerian And The City Of A Thousand Planets (or Valerian if you don’t have all day), he’s giving 20 regular people a chance to make bizarre sci-fi costume history by designing an outfit for someone to wear at a glitzy space party in the movie. To do this, Besson is teaming up with Yahoo Style and actual costume designer Olivier Bériot, and together they will judge submissions received through a special Talenthouse page. They’ll then select “up to 20 winners,” whose designs will be made into actual costumes that may (but probably won’t) be worn by stars Clive Owen, Cara Delevingne, and Dane DeHaan. Also, the only real guidelines are that the submitted costumes have to be able to be made out of a real “solid material,” and they must have “space for the head, two arms, and two legs” (both of which do seem pretty crucial). Still, anyone who has seen The Fifth Element should know that even those guidelines aren’t very limiting. This contest gets even sweeter, though, because the winners won’t just get a chance to see their costumes in the movie, they’ll also get $1,000 each and a prize that is absolutely priceless: exposure. (Did we say priceless? Because we meant worthless.) You have to send in your submission by November 27, so start drawing up some really high collars and impractical hairstyles now if you want some of that delicious exposure.